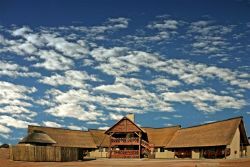 "Boiling-boiling" is the wonderfully descriptive name given to the hot-springs discovered by the Tswana people in the early 1800's. 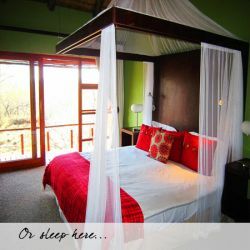 Booking your stay in Bela-Bela will be the first step in realising an unforgettable holiday in the Waterberg. 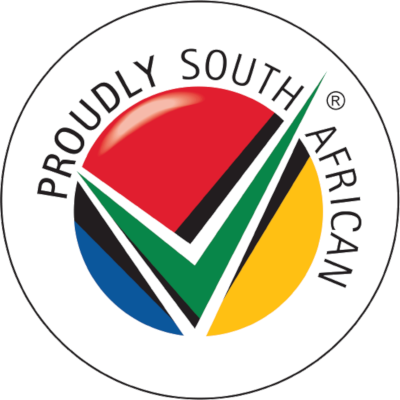 This small town, situated in the Limpopo province of South Africa lies on the N1 road between Pretoria and Polokwane. 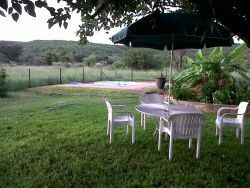 It has a beautiful setting, with mountains as a backdrop and numerous game reserves as neighbours. The main draw card however, and the very reason the town first became popular, is the hot springs. 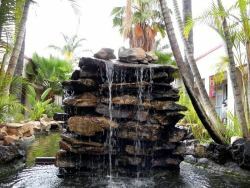 Apart from offering a somewhat novel experience, 1000's of visitors flock to the pools to benefit from the limestone minerals infused in the water, as well as to bask in the luxury of the resorts in Bela-Bela . 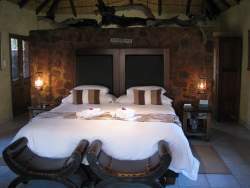 As mentioned above, Bela-Bela is positioned such that it makes an excellent base for exploring the surrounding hikes and glimpsing South Africa's wildlife in the many reserves. 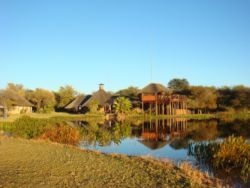 These reserves offer various activities from night-drives to 'wild-walks', all with qualified guides, of course. 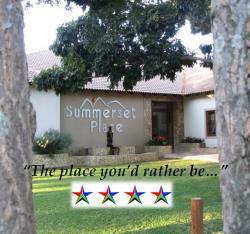 Bela-Bela has also become known of late as a hub for adventure enthusiasts. The many game lodges allow you to be close to a whole host of adventure activities with hot-air ballooning, quad-biking and white-water rafting being just some of the options available. 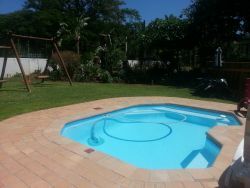 In addition to the myriad activities in and around town, choosing self-catering accommodation is a winning choice owing to its pleasant climate and friendly locals. 1 persoon is momenteel op zoek naar dit etablissement. 184 Beoordelingen uit Bela Bela Accommodatie.